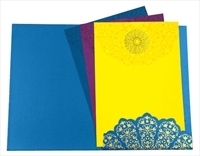 D-5839, Blue Color, Shimmery Finish Paper, Designer Multifaith Invitations. 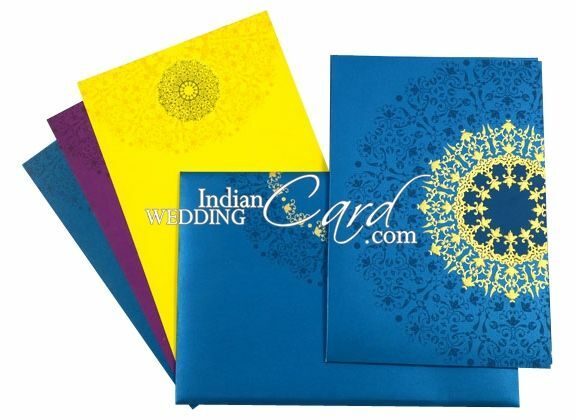 Turquoise color shimmery paper (250gsm) for card, inside left and right pasting, pocket and mailing envelope. 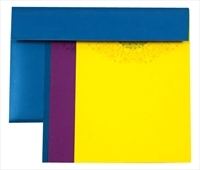 3 insert grounded on cream shimmery paper (250gsm) - one each in turquoise, yellow and purple color.